Formative assessment is an form of evaluation that happen anytime during a lesson regardless of content area. Unlike summative assessment whose goal is to assess students overall learning outcomes at the end of an instructional unit, formative assessment aims at identifying students learning gaps and design remedial work so as to move learning forward. The information collected from formative assessment is usually translated into operational steps to inform instructional models and lesson planning. 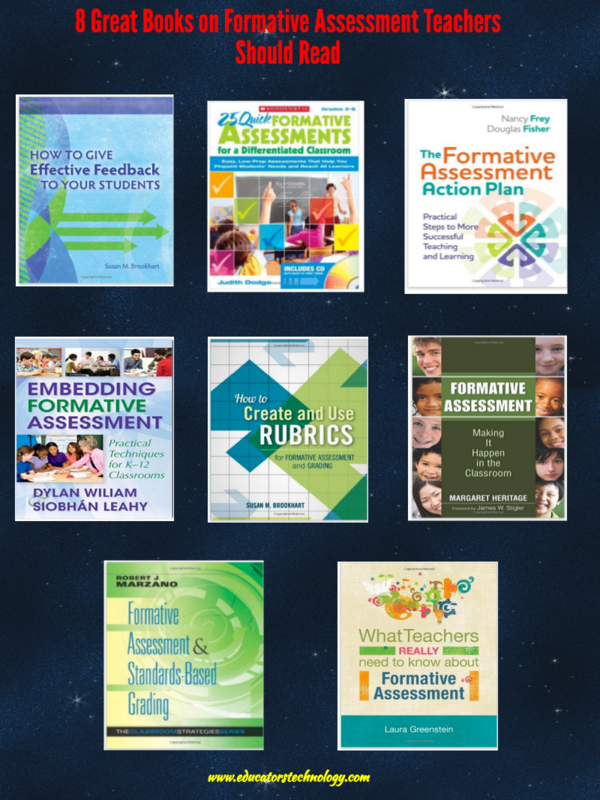 After we have reviewed a number of web tools and iPad apps teachers can use to formatively assess students learning, today’s post features a collection of some useful books to help you learn more formative assessment. Links to the books are under the visual.